What makes it rain? Where do penguins live? How many oceans are there? Young children can find the answers in this charming book and have fun adding stickers to the pages and doing puzzles too. 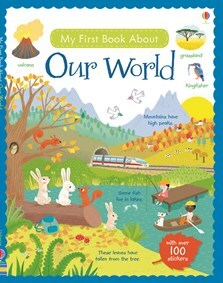 Topics include weather, the seasons, rainforests, deserts, icy places and a world map, and there are internet links to websites with video clips and games.